STUNNING FINISHES, TERRIFIC LOCATION! THIS RENOVATED HOME IS A BEST BUY AND AN ENTERTAINER'S DREAM! No detail has been spared in this stunning mint home with grand proportions. 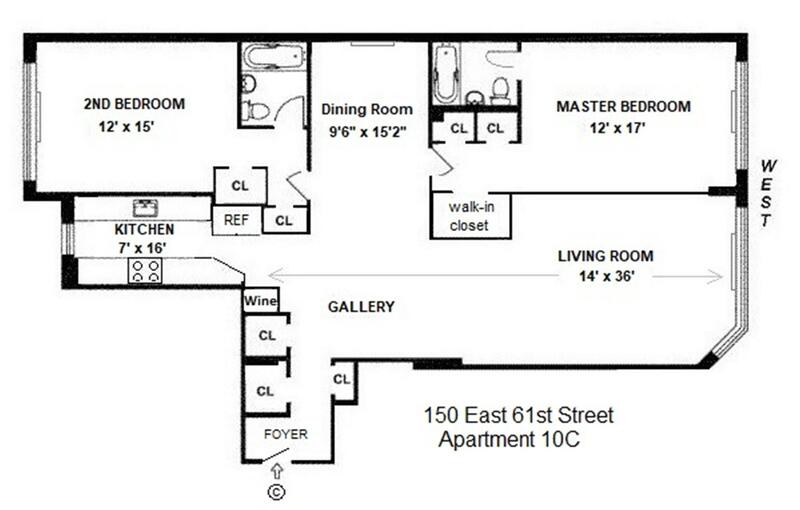 This elegant and spacious 2BR/2BA home has a terrific layout--including two split oversized bedrooms; a large open-plan windowed chef's kitchen with top-of-the line appliances, marble counters, and custom wine refrigerator with serving counter; a dining room that can accommodate a table for 10 or more, an oversized living room plus spacious entry gallery; great closet space; and two beautiful bathrooms--a glass shower in the master and a tub and shower in the main bath. 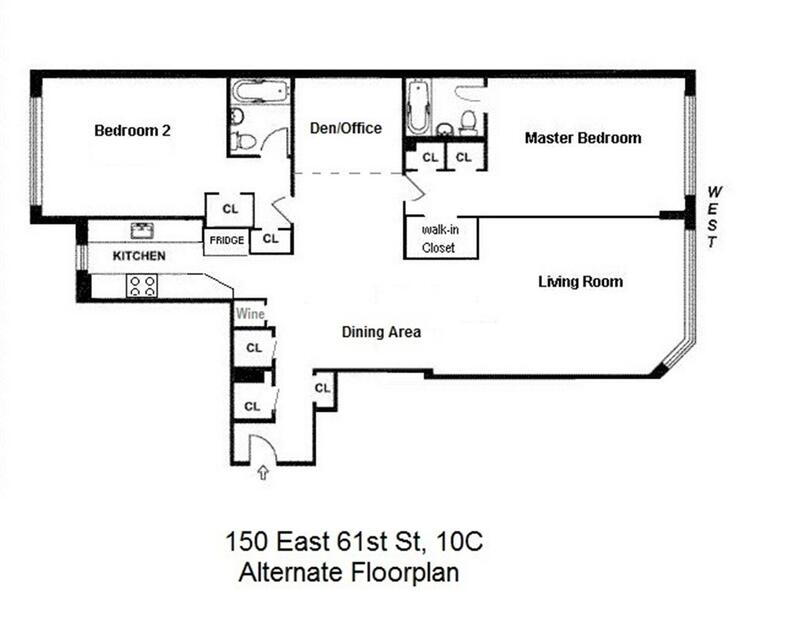 This unique layout can easily be converted to make a 3rd BR/den/office (see alternate floorplan). This rambling home (approx 1450 sf) has generous proportions and large rooms, wide open city views west and east with tons of light streaming in all day, beautiful hardwood floors, charming custom plantation shutters on all bedroom windows, and new HVAC units with custom covers. PLUS--an unbeatable location, location, location! All this on a beautiful tree-lined street in one of Manhattan's most desirable locations, just steps from the 4/5/6/N/R/W subway lines, 2 blocks from the Q and F lines, and Central Park, Bloomingdales, and the finest restaurants and shopping in Manhattan all at your doorstep. Pet-friendly, full-service coop has garage, gym, resident's lounge, bike room, storage, central laundry, 24-hr doorman, live-in super, and wonderful staff. Your search for the perfect home in the perfect location ends here! Relaxed board allows copurchasing, parents buying with children, pied-a-terres (case by case), and foreign buyers. The building has excellent financials and one of the best land leases in NYC--the terms are locked in for the next 91years (with no more escalations!) and include many features quite favorable to shareholders. Subletting allowed after a year, limited to 2-yr max. Call today for an appointment to view this special home. (Please Note: There is a permanent assessment of $1,146. Total monthly is $3,788).